Now you can wear your denim jacket and carry it in your hand as well. 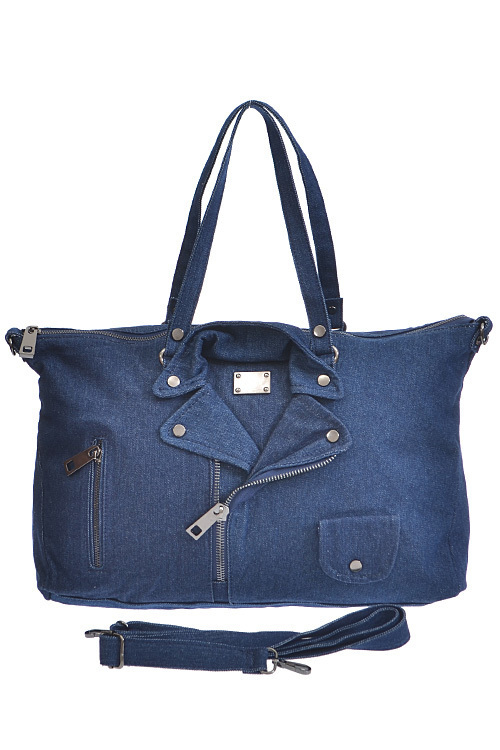 Unique and appealing jacket style denim handbag with zipper closure. Matching shoulder strap.